FiberLocator is excited to share that we recently teamed up with AT&T, the largest US-based provider of fiber for business services. The relationship will establish a reliable, single source solution for business customers to locate and sign up for fiber on their terms. FiberLocator will now feature over 390,000 AT&T lit building addresses, a level of which has never been available on the tool. In addition, full quality assurance will be enabled via quarterly content updates provided by AT&T. The collaboration furthers FiberLocator’s goal of increasing fiber network map reliability and lit building records, while assisting AT&T in answering the need for providers who want to sell fiber services to businesses. 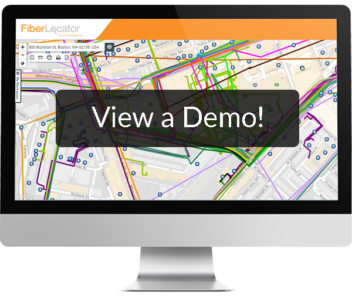 “Up-to-date data is a critical component to FiberLocator’s success. Since AT&T is the largest US-based provider of fiber for business services, having AT&T commit to providing fresh data and ongoing updates is a big win for FiberLocator. And, we’re thrilled. We’re confident AT&T will also benefit from our wide range of users who look to FiberLocator first for all their connectivity needs.” said Karen Wiens, Director of FiberLocator Operations.